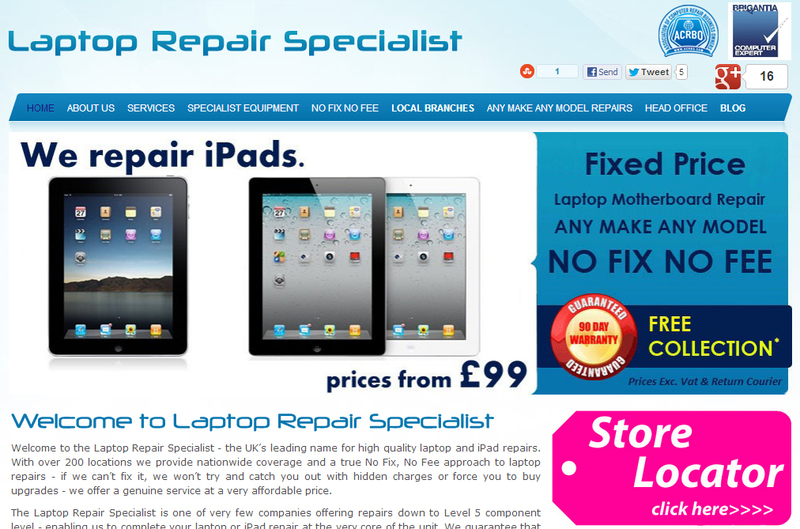 Laptop Repair Specialist.co.uk – Our Consumer repair website, where we promote our trade users as local repair drop off centres. 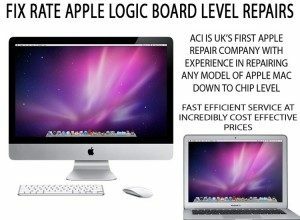 Trade Apple Repair.co.uk – Information on some of the Trade Apple Repair Services we offer. 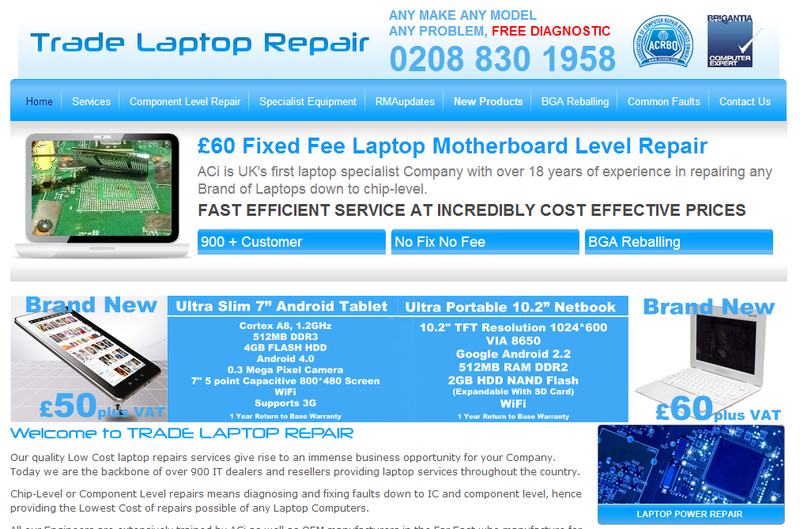 Trade Laptop Repair.co.uk – Information on some of the Trade Laptop Repair Services we offer. 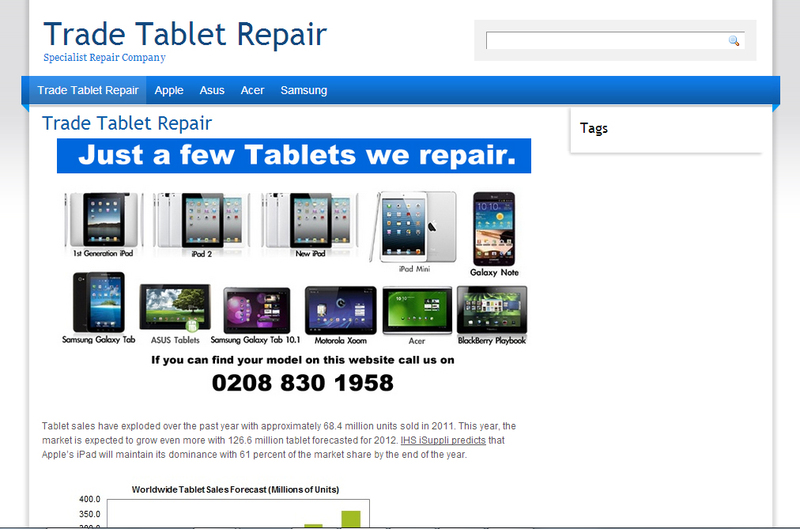 Trade Tablet Repair.co.uk – Information on some of the Trade Tablet Repair Services we offer. 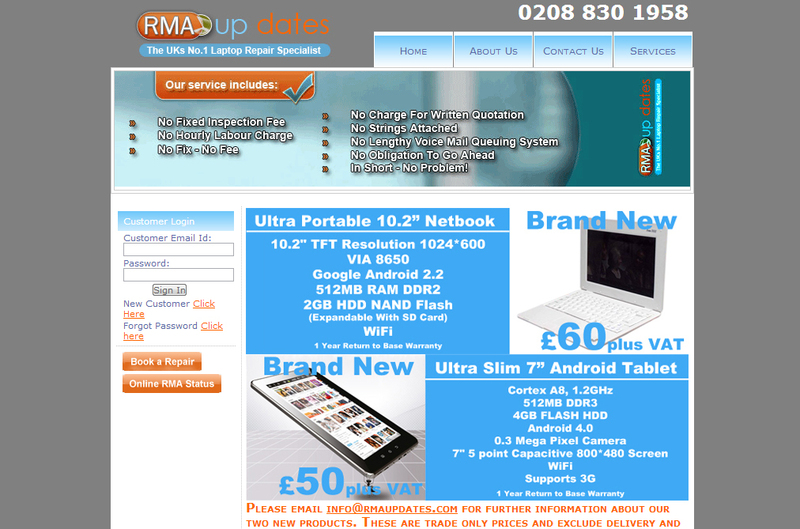 RMAupdates.com – Our custom built website for our Trade users to book in repairs and to see live status updates.